Story: The true story of Chris Kyle, the deadliest sniper in US military history. Let’s be honest here for a second. Every year the Academy likes to nominate a war film. They just love them. It dates back as far as 1927 when ‘Wings’ won Best Picture, all the way up to films like ‘Zero Dark Thirty’ or ‘The Hurt Locker’. What’s more, the Academy loves a good all round American actor, such as Bradley Cooper. 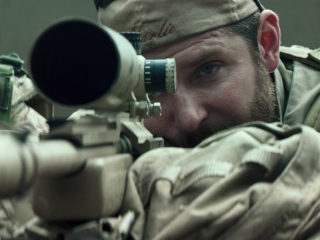 So for all intents and purposes, American Sniper is perfect. Unfortunately in reality it is not perfect, but that doesn’t mean it is not enjoyable. Bradley Cooper plays the part of Chris Kyle, a US Navy Seal Sniper who’s quick thinking and precision causes him to become the most deadly sniper in US military history. Funny that they would label him as such, when Kyle’s constant internal war is about whether he was killing people or saving them. Saving them, he decided, was the way to look at it. This would of course keep him sane, but it was also his job, wasn’t it? To save US soldiers? A strange marketing twist then, perhaps, has us glorifying the killing that he did throughout a movie where we witness him struggling with that very thing. Cooper gives a strong performance but we wouldn’t expect anything less. He is a talented actor with boundless depth which is on show here. He brings us a charming and likeable Chris, and a very real character who we cannot help but empathise with. Will this earn him an Oscar? No, it won’t. But it does make for a good film. It is also worth noting that the fragility of the situation would of made this role difficult to play for anyone and Cooper seems to have taken this part very seriously, and truly done justice to Kyle and his family. Sienna Miller is fine. There is nothing truly noteworthy about her performance other than she does her job and serves the storyline to create conflict in Kyle’s priorities. 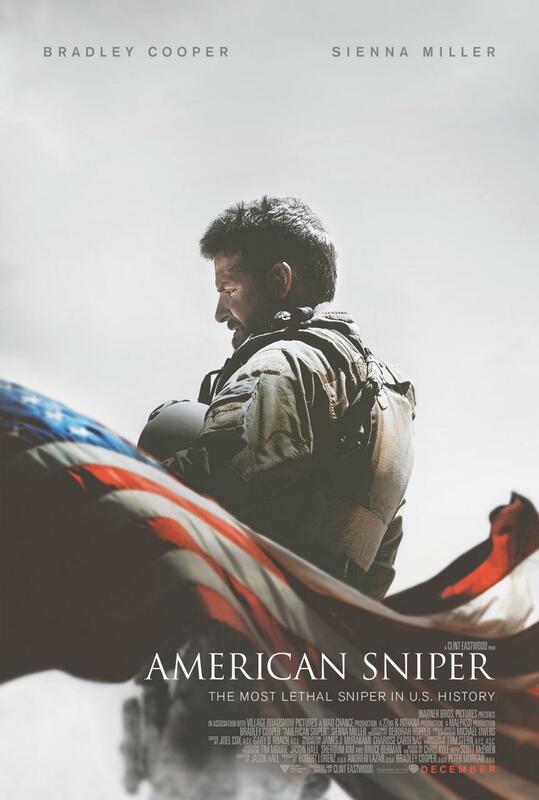 American Sniper gives a fine perspective in the American War Hero and what is really going on behind the scenes. The film is more about the internal struggle than what is actually happening out on the battlefields of war. What happens when you see a war hero in the supermarket? Does he want to talk about it, or would he rather forget? These are questions raised in the 2.5 hour running time, and Clint Eastwood does a lovely job of putting them at the forefront of our minds. Some people may feel the film drag but there is really no fluff: there is nothing in the film that is not totally essential to the telling of the story, so what we have to appreciate is that portraying the life of Chris Kyle is going to take you at least two hours. The abrupt ending may leave you in shock and dismay for quite some time, too. There are a few goofs in the film that do quite spoil the viewing experience, notable the use of a plastic baby in one scene is distracting and really cheapens the look of the film: why spend so much money on making a war epic then use a plastic baby? Some things we may never know. All in all, American Sniper is a decent film. Is it as good as last year’s ‘Lone Survivor’? No, it isn’t. But go and see it anyway. Story: A look at the true events of the shooting of Oscar Grant at Fruitvale Station in the early hours of January 1st 2009. 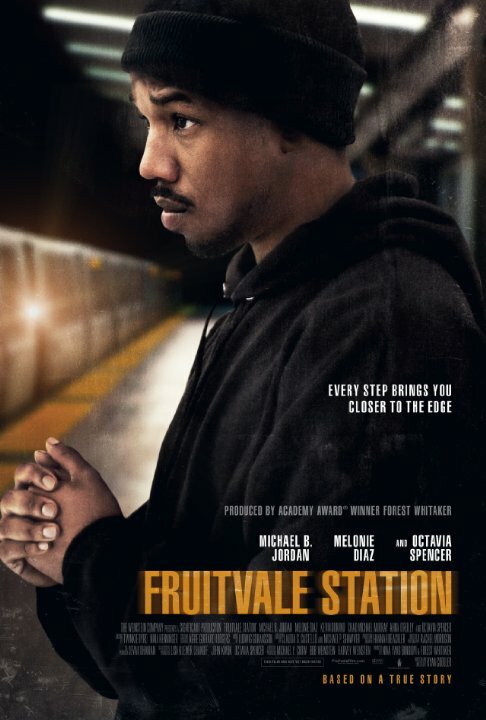 It is difficult to find a negative review of Fruitvale Station. After premiering at Sundance in 2013, the film was the recipient of three awards nominations, and went on to receive nominations at the Independent Spirit Awards, Black Reel Awards, and countless others. A first feature length film by writer and director Ryan Coogler, it soon becomes very clear that Fruitvale Station is an absolute triumph. The story and film itself is simple. There isn’t really anything in the way of sub-plots or plot twists, and rightfully so. We are given tiny glimpses of the myriad of problems that are plaguing this 22 year-old father: from his criminal background to infidelities, but these are not the overlying point of the story. What we are given more than anything is this message of hope; a fresh start; and a future. Audio and cinematography give this film a real “slice of life” feeling as if we are watching a documentary. There is nothing fictional about what we see and nothing is given a ‘Hollywood affect’. The reality of the film really is what drives it home. Some scenes are uncomfortable, but all builds to the climactic ten minutes at Fruitvale Station which hammers you with complete uncensored truth. Michael B Jordan and Melonie Diaz act perfectly together to charm their way into the hearts and minds of any audience. Seeing the film unfold before you is tense: you may indeed find your whole body is still frozen solid long after the credits roll. It took a while to recover from the very truth of Fruitvale Station which absolutely punches you in the stomach. While Coogler really does not hesitate to let the audience know what he wants you to feel, sometimes that feeling is inevitable. This is a story of peace and hope, but is only so in showing cruel injustice.